The benefits of online sales training can be narrowed down to a number of key areas. These include automating the sales training process, minimizing time away from job, controlling disruption and in reducing sales training costs. In a rapidly changing sales world, the investment in sales training is vital to improving the sales team’s knowledge, productivity and overall sales skills. The ROI of all sales training is about measuring increased sales in the longer term plus ensuring a happier more motivation team of salespeople which reduces employee. While classroom-based sales training still has its place, the cost, logistics involved and impact on productivity has many companies challenging its relevancy. In no small part to technology advancement, video solutions, streaming capabilities and course ware development the benefits of online sales training are compelling. Tapping into a world of web-based sales training experts and online sales training material means rolling out an online based sales training program has never been easier. With the help of an online sales training provider, a cost-effective sales training program will be up and running in no time. One of the major benefits of online sales training is that the sales programs are focused on topics the learner has selected. Removed from dominating opinions and time pressure allows the learner to concentrate fully on course content being offered via the online sales training program. Another one of the benefits of online sales training for a salesperson is that there are no distractions or deviating off topic. In fact, many leading sales transformation experts believe that online sales training provides a more purer learning environment. Ask any salesperson or manager and they will tell you that selling is a lot more complicated in today’s attention poor yet busy world. Now there is on average 5 stakeholders involved in most buying decisions and that goes for less complicated or inbound sales as well. The reality is most salespeople are or need to sell to five people which makes their role even harder. One can understand why switched on companies mandate sales training so their salespeople will improve their ability to sell more effectively to a whole host of stakeholders. They are alert to the fact that continual sales training is required to sharpen sales skills, keep abreast of the latest thinking, develop better buyer engagement skills and close more deals. However, continual sales training does not have to eat into their productive sales time or become cost prohibitive. Which is why online sales training has become vital. The very nature of this self-paced learning means the salesperson can undertake any sales training at a time, pace and place that suits them. Useful and ease of use. Every sales training program has to be useful, but is it? Useful sales training is defined as the degree to which a salesperson believes that attending a particular course will enhance their job performance. In essence, useful sales training can be seen as providing content that is beneficial to the sales team’s daily activity load. If any course content doesn’t appear relevant to the sales teams, it stands to reason they will not meaningfully engage with it. But keeping in-house sales training materials fresh, Up to date, relevant and useful can be expensive or laborious. This is why salespeople constantly rate online sales training higher than in-house, they find it more useful as its fresher. Plus, from a business point of view, its more cost effective. Double win. When we discuss “ease of use” it is more about the presentation format of the sales training rather than the content itself. Any tool deployed to improve sales skills should be easy for learners to interact with while enhancing their learning experience. Because online sales training is available 24/7, self-paced and digital in nature it is relatively low on effort to access meaning salespeople are more willing to use it. For a company, this lower the barriers to getting salespeople to take ownership of their own skills improvement. Your salespeople may be your competitive advantage when it comes to explaining to a buyer the unique advantages of your product. Increased and crowded competition will demand strong sales strategies that deliver results. So, the importance of continued sales training to lock in the sales team’s ability to play their part in any growth strategy can’t be ignored. The benefits of online sales training can help your salespeople sell better to both existing and new customers, empower them to take ownership for their upskilling, to meet and beat quotas plus help the business outperform the competition. One of the many benefits of online sales training is that salespeople become better engaged with modern sales tactics, knowledge and tools to improve their close rates. Overall sales KPI’s also improve as they can better prospect, develop and maximize any sales leads provided to them. Numerous research articles now show that salespeople value sales training and when access to ongoing sales training programs are in place, they are less likely to leave an organization. This boosts retention of both salespeople and valuable knowledge which in turn lowers turnover. Knowing what to do and when to do it has always been vital in sales. 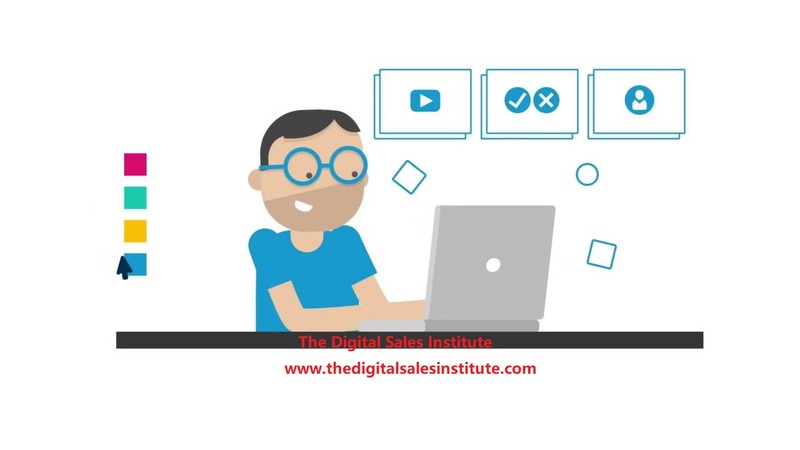 More benefits of online sales training are that access to constantly updated content means salespeople become better skilled and more creative at problem-solving to buyers’ challenges. Any salesperson who has achieved a higher level of sales mastery will find it easier to match their product and their customer needs in a mutually beneficial way. They will also be better able to sort where they need to prioritize their sales activity. One of the top benefits of online sales training is that salespeople assume ownership for their own skill improvement. Combined with mandated sales training, online sales training compliments and reinforces their learning path to becoming a more accomplished salesperson. As online sales training can be accessed by anyone and everyone wishing to improve their knowledge of the sales process, e.g., customer support, presales, marketing etc., this will have the effect of a more sales-focused environment and a deeper understanding of customers. Which can lead to more connected teams and a shared drive to grow revenue. Revenue and productivity goals can mean it is hard for salespeople to set aside the time for sales skills improvement. They value it, want it and need it but they may not have the hours to spend sitting in a room listening to presentations. Plus, the impact of sales training can be diluted as salespeople are conscious of time away from desk. The benefits of online sales training “training at your convenience” goes a long way to solving this dilemma. Modern sales organizations realize that the same old approach to sales training programs just are not delivering the results for the cost involved. Yes, the traditional instructor-led sales training programs deliver great content, but does it lead to lasting results? The main reason for this is sales training needs to be a continuous learning journey where salespeople can refresh and update themselves as needed. The benefits of online sales training programs are that it is easy for any salesperson to spend 15 to 30 minutes learning new sales skills themselves. With the latest from the minds of leading sales trainers on proven sales techniques, salespeople get 24/7 access to libraries of time saving sales training content and videos that focus on all aspects of the sales process – one lesson at a time. The benefits of online sales training are becoming increasing compelling to companies and individual salespeople who want to learn more about the profession of sales but due to time, costs or resources find that the traditional methods of sales training have limits. It may not be the total solution for everyone, but it is one worth considering.